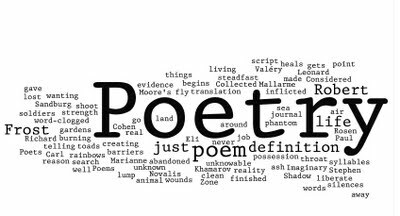 The Relentless Reader: Facing My Fear...of Poetry! In this fast-paced course we will read and encounter and discuss a great range of modern and contemporary U.S. poets working in the "experimental mode," starting with the 19th-century proto-modernists Emily Dickinson and Walt Whitman and ending with 21st-century conceptual poetics. Aside from providing a perhaps handy or helpful survey and chronology of 20th- and 21st-century poetry, this course offers a way of understanding general cultural transitions from modernism to postmodernism. Some people may wish to enroll as much to gain an understanding of the modernism/postmodernism problem through a study of poetry as to gain access to the work of these many poets. Participants do not need to have any prior knowledge of poetry or poetics. The instructor, Al Filreis, rarely lectures, and frequently calls for "the end of the lecture as we know it"; instead, most of the video-recorded lessons will consist of collaborative close readings led by Filreis, seminar-style -- offering models or samples of readers' interpretations of these knotty but powerful poems, aided by the poetry-minded denizens of the Kelly Writers House on the campus of the University of Pennsylvania. I signed up even though I'm a little bit terrified. Special thanks to Blue Print Review for also pointing out this class to me, I appreciate it! I'd just try writing it and that may help you understand how poets work. It only means what you get out of it, I believe. That is another class I'd love to take, creative writing! I like hearing that about the rules, some would say that rules are made to be broken anyway right? Song lyrics!! That is a great way to think of them, there are so many songs that stop me in my tracks when I hear a certain phrase..someone putting into words how I feel...a lyric that gets to the meat of things. Hmmm...that is definite food for though and I'm glad you brought it up! Jennifer, awesome! I'm not a huge poetry person either...but if I'm honest with myself, I think many of my favorite prose authors are also poets, just writing phrases within a prose format. That helps me to be charitable to prose in general, something I often have to work on. That is such a good point Neal, I love that :) I'm hoping that the class is informative and fun, I'll make sure to let everyone know how it turns out. There are some cool courses on coursea. There is a lot of variety in poetry and I think that people will be able to find something they enjoy. This is the first I've heard of Coursera, I'm really looking forward to this class and if all goes well I'll certainly take another! I did see that video :) I'm so excited about the class..and I bit nervous too to be honest.